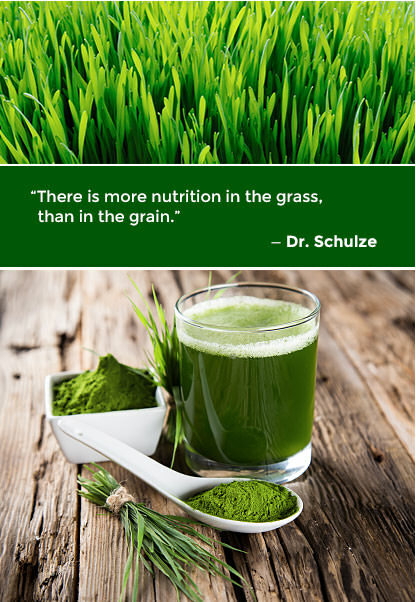 WHAT IS WHEATGRASS, ALFALFA & BARLEY GRASS? For centuries, actually millennium, doctors, herbalists, and healers everywhere knew of the powerful healing ability of alfalfa. Most of this healing ability came from the fact that alfalfa contains almost every vitamin and mineral known. But alfalfa is even more respected for its available mineral content. I have heard it referred to by prominent herbal doctors as the “King of Vitamin and Mineral Herbs”. Nowadays, most of what we know is that it is a very rich and nutrient-dense feed for animals. Often used to make them grow more muscle. I have witnessed animals that eat almost a mono-diet of alfalfa put on hundreds of pounds of muscle. Barley is one of the most wholesome grains on the planet. Over the past century, it was discovered the powerful nutrition in the young grass is, even more, nutrient packed than the grain itself. This is simply because of the grasses astounding ability to absorb a tremendous amount of nutrients from the soil, and then quickly biologically transmute them into organic compounds that your body can easily assimilate. I first started using Wheatgrass supplement in my clinic because of its powerful detoxifying ability. It was a basic therapy in almost every alternative cancer clinic I visited, mainly due to Anne Wigmore of the Hippocrates Health Institute, who used it extensively in her programs. In fact, I once visited a clinic where drinking wheatgrass juice was their sole therapy! At that clinic, I personally met numerous individuals who saw their cancers go into remission (and literally disappear) by drinking copious amounts of wheatgrass juice—like 6 to 12 ounces a day! It may be one of Nature’s most powerful detoxifying agents, but lets not understate that it is also a potent—almost miraculous—nutrient-dense food.